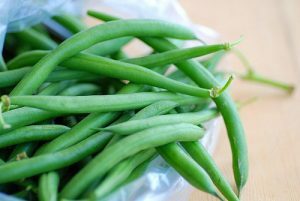 One of the vegetables I really disliked as a kid was green beans. My mother liked a lot of different vegetables, but she really didn’t like green beans either. She must have thought they were good for us because she served them to my dad, brother, sister and me. We all ate them, but my mom and I especially did not enjoy them at all. Soon after I got married, I made it clear to my wife that I didn’t like green beans. She reacted with disbelief. “How could anyone,” she said, “not like green beans?” She insisted on preparing green beans for me one night, and I agreed that I would try them. I was shocked. I actually like them! That made me wonder what made the difference. My mother was a good cook, and so is my wife. I’m sure my wife prepared them differently, but that could not be the only difference. Then it struck me. The green beans my mother used came out of a can. The ones my wife prepared were fresh from the vine. Wow, that made a lot of difference in how they tasted! Maybe you have a bad taste in your mouth related to the times you did go to church. Some of you were forced to go to church as a child, and you hated it. Some of you attended church as an adult but were disappointed by the empty rituals or the actions of some of the others who were there with you. Whatever the reason, church didn’t do for you what you expected it to do. Like my green beans when I was a boy, church just didn’t taste good to you. Instead of blaming the idea of worship itself, as I blamed green beans for tasting bad all those years–maybe the problem isn’t actually the idea of worship itself. Maybe what you dislike is the kind of worship you have experienced. Let me show you what I mean. Did you know that God intends for our worship to bring us great joy, and not drudgery? “O taste and see that the Lord is good; how blessed [happy] is the man who takes refuge in Him!” (Psalm 34:8). In fact, the Lord wants us to “Rejoice in the Lord always…” (Philippians 4:4). If God wants our worship to be happy, then we need something real and genuine to be happy about. Those of us who are followers of Jesus have so many reasons to worship enthusiastically. Let me mention a couple of them. The joy of worship springs from a heart that sees what Jesus has done for us. When we realize how Christ’s unthinkable suffering on the Cross completely satisfied God’s wrath against our sin (see Isaiah 53:10-11), we can’t help but rejoice. That is why Paul said, “May it never be that I would boast, except in the cross of our Lord Jesus Christ….” (Galatians 6:14). True worship is also joyful because we are celebrating a relationship that is amazingly intimate. Not only does God forgive those who turn from their sin to Christ; He also makes them members of His family. Think about that! Jesus died “so that He might redeem those who were under the Law, that we might receive the adoption as sons. Because you are sons, God has sent forth the Spirit of His Son into our hearts, crying, ‘Abba! [or daddy] Father!’” (Galatians 4:5–6). The God of the universe has invited us to enjoy him. “I will rejoice greatly in the Lord, my soul will exult in my God; for He has clothed me with garments of salvation, He has wrapped me with a robe of righteousness….” (Isaiah 61:10). We aim to do that every time we get together for worship at Bethel Chapel Church. We would love to have you join us if you want to learn about more reasons to worship the Lord joyfully. Don’t let any past experiences or prejudices keep you from doing that!